Brown dwarfs are notoriously hard to find. It's not so bad when they are first born: They come into the Universe with a blast, shedding light and heat in an infantile display of vigour. But within just a few million years, they have burned their available nuclear fuels, and settle down to consume their leaner elemental pickings. Their visible light dims considerably with time to perhaps just a magenta shimmer. But they still produce heat, and the older they get, the more likely that a direct detection of a brown dwarf will have to be in the infra-red spectrum. This doesn't make them much easier to detect, though, because to catch these faint heat signatures in the night sky, you first need to have a cold night sky. A very cold night sky. Worse, water vapour in the atmosphere absorbs infra-red light along multiple stretches of the spectrum. The warmth and humidity of the Earth's atmosphere heavily obscures infra-red searches, even in frigid climates, and so astronomers wishing to search in the infra-red either have to build IR telescopes atop desert mountains (like in Chile's Atacama desert), or else resort to the use of space-based platforms. The downside of the latter is that the telescopes tend to lose liquid helium supplies rather quickly, shortening their lifespan considerably compared to space-based optical telescopes. The next big thing in infra-red astronomy is the James Webb Space Telescope (JSWT), due for launch in Spring 2019. The JSWT should provide the kind of observational power provided by the Hubble Space telescope - but this time in infra-red. The reason why astronomers want to view the universe in detail using infra-red wavelengths is that very distant objects are red-shifted to such a degree that their light tends to be found in the infra-red spectrum, generally outside Hubble's operational parameters (1). Essentially, the JWST will be able to see deeper into space (and, therefore, look for objects sending their light to us from further back in time when the first stars and galaxies emerged). One of the advantages of this shift into the red is that this extremely powerful telescope will also have the capability to seek out new brown dwarfs. 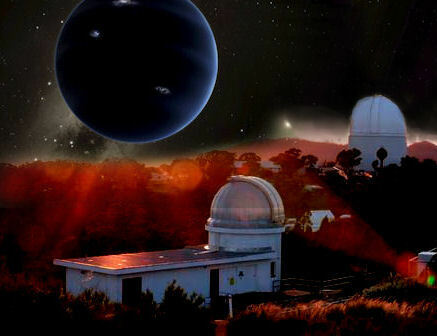 Precious telescope time is currently being allocated to various teams of astronomers wanting to observe parts of the sky when the JSWT is eventually operational. 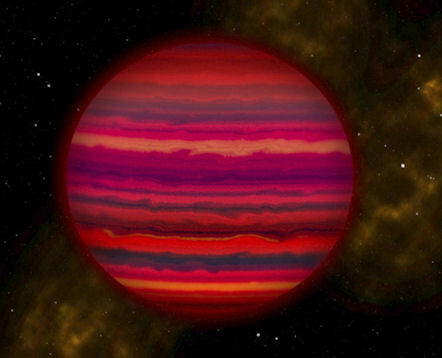 Two recent announcements about these allotted slots involve brown dwarfs. The first is a closer look at a young low-mass brown dwarf which lies relatively close to the Sun, by stellar standards, and is a member of a 200-million-year-old group of stars called Carina-Near. This particular object is known as SIMP0136 (2). 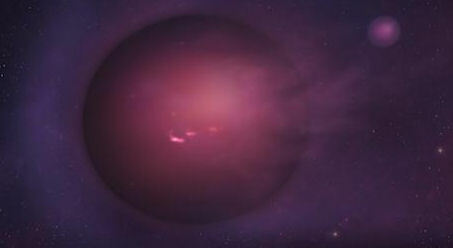 SIMP0136 is a free-floating sub-brown dwarf, so its light is not obscured by the presence of a parent star. This makes it a lot easier to study, providing the opportunity to analyse the components of its cloudy atmosphere. Brown dwarfs cover a reasonably broad swathe of masses, generally thought to be from about 13 Jupiter masses (mJ) up to about 80 mJ (at which point they light up into red dwarfs). SIMP0136 lies at the very lowest end of this brown dwarf range of masses, at about 13 mJ (3), which also places is at the top end of the next set of objects - the sub-brown dwarfs. Technically, at this lowly mass, it could be considered a planetary mass object rather than a stellar object. Sub-brown dwarfs are, in effect, massive gas giant almost-stars. We're likely to find out a lot more about the properties of these objects as a result of this study. Not only is this a critical factor when trying to search for free-floating planetary mass objects within nebulae, but this issue also underpins my hypothesis seeking to explain the current lack of detection of distant planets in our own solar system. There is a persistent and - arguably - growing body of indirect evidence for the existence of one or more Planet X objects lying in very distant locations in our own solar system. Yet, such objects seem to evade direct detection. This is, of course, very frustrating for the astronomers seeking out Planet X (or Planet Nine as some have renamed it (4)), and provides grist for the mill for sceptics wishing to discredit the entire concept. For a few years, I have argued that localised nebulae may form around planetary mass objects located outside of a star's heliopause. Without the wafting action of the solar wind, and other dynamical processes driven by a star's proximity, interstellar dust may accumulate slowly around an externally located massive planet. The planet then becomes embedded within a dusty shroud, obscuring it from view in the visible spectrum (5). This means that searches using normal optical telescopes, like the Subaru telescope in Hawaii, are bound to fail to find Planet Nine. 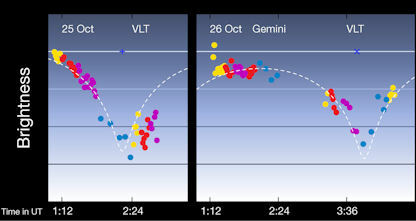 Furthermore, infra-red sky searches like WISE might pick up an infra-red signal, but efforts to then confirm the presence of a ninth planet using standard telescopes would also fall short (or, at least, detect a faint, fuzzy mass, rather than a distinct object). So, the infra-red signal (and commensurate visible fuzz) would be attributed to a different phenomenon. Could the powerful JSWT change matters? I don't believe so. The telescope would need to be specifically trained in on candidate objects. Without candidate objects to examine (thus far there is exactly none) then precious observation time using the telescope will not be allocated to a Planet X project. Without a wider appreciation of the potentially variant properties of externally located planets, the status quo will remain in place: Strong indirect evidence of a massive perturbing influence, but zero prospect of actually spotting it. There was a time when I used to do quite a few interviews on radio, and for online video content. The peak period of the interest in the return of Sitchin's planet Nibiru (1) was during the five years running up to 2012. I would provide as much information as I could about Planet X, brown dwarfs, and the evidence underpinning the potential for further planets in the solar system. Always, we would end up discussing the same questions: When is Nibiru returning, and is this particular period in history the 'End of Days' spoken of various prophecies? Over the years, other researchers have routinely promulgated the concept of the imminent return of Nibiru, predicting calamity and destruction for our wayward world. I'm losing count of them - each holds onto a specific date as the point of return, only to be replaced a couple of years later by another gloom-filled researcher when the previous portentous date sails past uneventfully. Happily, my honest opinion of all this has remained exactly the same for the last 20 years that I have been writing about Nibiru and Planet X: It's not around the celestial corner, hiding behind the Sun, or cloaked by some artificial force shield, or the like. Instead, Planet X is a distant, dark object pitched out among the comets. It may be a terrestrial-sized planet, or a super-Earth, or an ice giant, or a gas giant, or even a sub-brown dwarf (2). The bigger the mass, the more distant the object must lie to have evaded detection. None of these possibilities allows for a current location among the known planets. No chance. Twenty years on, my consistent argument remains the same: A cometary planet emerging from the outer solar system into the inner solar system would be a backyard telescope object while it is still beyond Saturn, and would gradually become a visible object between Saturn and Jupiter. The bigger it is, the sooner we'd see it. The sooner we'd ALL see it. Planets move in Keplerian elliptical orbits around the Sun that obey laws of physics, dancing around one another as they all proceed in their orderly and predictable fashions. So, too, with Planet X. As the Earth moves around the Sun, our night-time view of various parts of the solar system shifts, so that over time we can view pretty much all of it. There's only one place to hide for any length of time, and that's if another Earth were to exist in Earth's 180 degree Lagrangian point on the opposite side of the Sun. Its orbit would have to be one Earth year, just like ours. Any other orbit would bring an object obscured by the Sun into view at some point, and then it would move progressively further away from the Sun with time. Objects said to be 'hiding behind the Sun' cannot play peek-a-boo with us. But, you know, none of this straightforward reasoning seems to make the slightest bit of difference to people who get the Nibiru cataclysm bug. Back in the old days, radio interviewers would quickly realise that I was not about to provide scientific credibility for a concept that sells books and creates hits on websites and that scares people. I'd just stick with the facts, and stay as close as I could to rational reasoning. Maybe I started sounding bored and frustrated with arguing this same point (can you blame me? 1999, 2003, 2012, 2013, 2017; it goes on and on...). Maybe the world changed its view of complex analysis, and simply stopped listening. After all, we have a conspiracy theorist in the top job these days, giving conspiracy theory both a tacit official acknowledgement, and the kiss of death. Either way, I don't get asked by the media to present 'the middle way' these days. I don't think there's much call for the middle way, generally. Not true in every case, but there's definitely a trend. The argument about Nibiru/Planet X is so polarised now that there is little room in the middle. The thinking within the media is that you're either a 'believer' who thinks the world is about to end at the hands of a head-on collision with a fabled planet, or an 'expert' who has absolutely no time for anything Planet X-related (TV scientists don't specialise in this subject, and have little time or interest to investigate it in any depth, yet will happily provide rent-a-quote sceptical responses). To start 2018 off in much the same vein I have become aware of the video blogs on YouTube by one Matt Rogers (3). A fellow Brit. Let me tell you something about the Planet X scene in the U.K., just for a bit of context. Besides the odd mumble down in London, there isn't one. I've been banging a solitary drum on this topic for decades. So, in a way, I welcome a fellow Brit who stands up and discusses Sitchin's Nibiru, and who appeals for an open-minded debate about this topic. And Matt's certainly managed to attract the attention of the British tabloids, which I never have (that's probably a good thing, let's be honest). Matt's videos have been providing plenty of easy copy for Jon Austin at the Express (4, 5, 6, 7, 8, 9, 10). Jon's evident passion for the subject has proven somewhat contagious, having been picked up by the Daily Mail (11) and the Daily Star (12), and even - coolio - the Lad Bible (13). Kudos. The problem is that the sensational material being offered is erroneous and pretty easily dismissed (as described above, and see also (14)). Matt's evidently well-meaning intention to raise the profile of Nibiru among the general population is at once effective, but also calamitous. A proper discussion of Planet X does not readily lend itself to tabloid sound-bites and sensationalism. It doesn't rely upon dodgy photo footage of lens flares and colourations in the sky. Instead, the real evidence lies in scientific data, much of it provided by world-class instruments and space-probes. The real evidence involves patterns of gravitational anomalies affecting swathes of outer solar system objects, missing masses, missing angular momentum, anomalous orbits, tilted obliquities, ridiculously complex mainstream theories of solar system formation, and so on. But, here's the thing. This does not make good copy for hacks. Contrary to popular opinion, it also does not sell books. We live in an age when Truth has become a personal thing. I don't want to detract from Matt Rogers' right to speak his truth to the world. I rather admire his nerve in the face of the torrent of ridicule he has faced (as well as death threats, apparently). But I also find this frustrating, because this subject is very, very vulnerable to distortion by the media. The kinds of creative claims put forward by Matt, and his predecessors, simply fuel that tendency. In the mind of the public, then, Planet X becomes a bonkers conspiracy theory denounced by every scientist they've ever heard of (about three). The real mystery is quickly lost in the noise. But, let me assure you, there really is an excellent case for the existence of Planet X. And if it really is out there, then its eventual discovery would be very sensational indeed. The interstellar asteroid 1I/2017 U1 (otherwise known as 1I/'Oumuamua) is fast receding into the distance, towards the constellation of Pegasus (1). 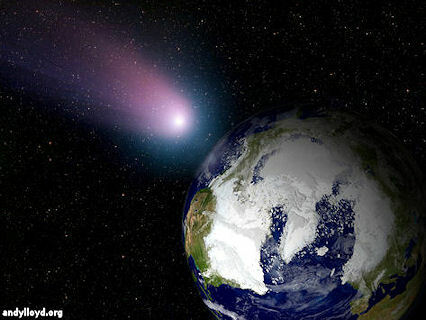 The existence of this rocky visitor from the stars was announced last October (1). Its trajectory was too fast for it to be a solar system comet - even one from the furthest reaches of the Oort Cloud. That was an exciting discovery, because that meant that 1I/2017 U1 was the first confirmed observation of an object arriving in the solar system from deep space. Although 1I/2017 U1 was initially considered to be an interstellar comet, that thinking changed when it failed to emit any gases as it performed its perihelion transit around the Sun (3). This barren rock, confirmed as an interstellar asteroid (4), is now speeding away from the Sun. It spent a relatively short time in the observation zone of professional telescopes, thanks to its great speed, but this was enough to reveal more weirdness (5). It is an elongated, cigar-shaped object tumbling head over tip, doing cartwheels through the solar system (4). Its lack of cometary coma flies in the face of conventional wisdom about interstellar debris, the vast majority of which is theorised to be cometary, rather than asteroidal (4). 'Dry' objects in comet-like orbits, but which behave like asteroids, have been discovered, and are known as Manx-type comets. Some wondered whether it might be artificial, given the weird lack of coma as it traversed past the Sun. But attempts to pick up signals from the object came up blank (6). Still, its shape is nothing like any known body in our Solar System. If solar system asteroids resemble rocky potatoes, then 1I/2017 U1 is more like an interstellar carrot, spinning haphazardly through our system. To remain intact under these conditions, its internal structure must be robust (7). The colour of our interstellar carrot is neutral with a reddish hue. The colouration may be patchy across its surface. Solar system minor bodies (asteroids, Kuiper Belt Objects, Trojans) vary in colour, often dependent upon which population group any particular object belongs to. Continuing my daft vegetable analogy, solar system potatoes come in different varieties. Many are neutral in colour, some are reddish, others distinctly red. Like comparing a Maris Piper to a King Edward. If we compare 1I/'Oumuamua's colouration to those of various classes of solar system objects, then it seems to most resemble those of the dynamically excited populations of Kuiper Belt Objects. However, it is less red than the scattered Trans-Neptunian objects whose orbits extend beyond the heliopause (7). As 1I/2017 U1 is a solitary object in a class of its own, it's impossible to tell whether its properties are typical of interstellar asteroids or not. However, if its solitary arrival on our cosmic shores presents a statistical norm over the time we have been actively seeking out such objects, then calculations suggest there is an absolutely massive population of interstellar asteroids across the galaxy (9). However, our solar system seems to have a different layout of planets from other planetary systems which have now been observed and studied. In other systems, small planets seem to team up with other small planets, like regularly-placed peas in a pod. Conversely, large planets pair up in other systems (10). So, the Nice model's application to our own, unusually mixed-up system may not work so well with other planetary systems - at least, if you're trying to explain mass expulsions of rocky materials across the galaxy. If anything about this is clear at all, it's that 1I/2017 U1 is creating a great many challenges! It seems reasonable to conclude that a large population of interstellar asteroids implies a large population of sizeable planets in long-period orbits around stars. If interstellar objects are largely volatile-free, as seems to be the case here, then the amount of material being ejected during the early life of a planetary system is truly astounding. But then the Nice model calls for early solar system catastrophism on a truly awesome scale, so a galaxy littered by similar debris from other stars seems in keeping with this. The sticking point is that pesky lack of volatiles. In that regard, it is interesting that 1I/'Oumuamua comes from the direction of the Solar Apex, the point in the sky towards which the Sun is travelling through space. As I noted when the announcement was first made, this object's encounter with the Sun is like a gnat splatting directly into the windscreen of a moving car (2). I have wondered before whether the Solar Apex may be coincident with a distant companion object in the very depths of the solar system (11). But, as noted in the scientific paper about 1I/2017 U1, this seems a remote possibility. That said, a random encounter with another object in interstellar space seems even more remote, given the probable low density of objects out there (12). So, if the tumbling effect didn't kick off when the object was ejected from its home system, then it is hard to see how this rotational movement started up, without inferring a Planet X-like encounter. Everything about this object is pretty weird. Maybe it's just the universe reminding us to expect the unexpected. 4) K. Meech et al "A brief visit from a red and extremely elongated interstellar asteroid" Nature, 21st December 2017, 552, pp378–381, with thanks to Dr Meech. 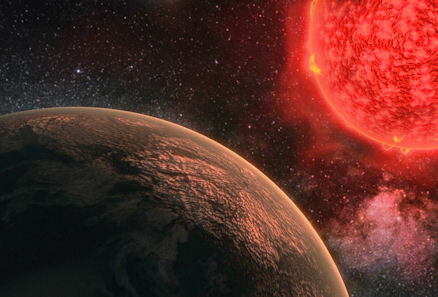 The astronomers conducting this work used similar detection techniques used for searching for exoplanets orbiting around stars, but they adapted the techniques for use in high-quality snapshots of an entire region rich with new stars and planets (3). This trawl allowed them to find a good crop of new objects for further study. 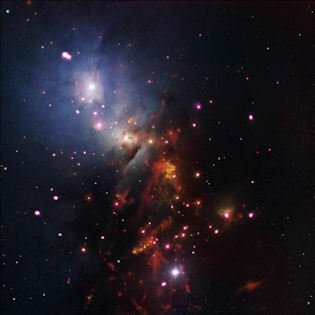 It is a refined technique which could be used to trawl through Hubble's entire near infra-red archive, opening the possibility of many more discoveries in the future. 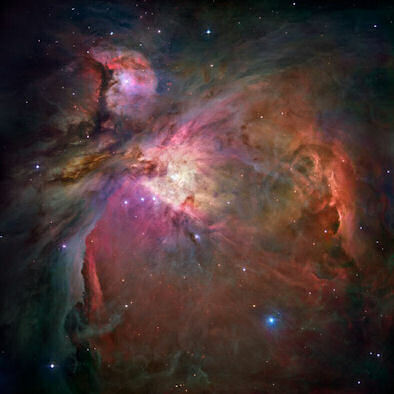 A Hubble image of the Orion Nebula.